Students in Mr. Brooks' class will be busy as we finish up before the holidays. We are methodically working through Touching Spirit Bear and we hope to finish that before break. Students are also in the final stage of publishing a "seed" narrative about a moment in their lives. If that's not enough, students have been engrossed in self selected non-fiction with hopes of completing the December reading challenge. Students should be working on something Language Arts related every night! In Mrs. Dyson's Language Arts class we concluded our novel study Touching Spirit Bear. Students were tested on their ability to comprehend the text, identify symbolism and conflict, as well as resolutions found in the text. Our next focus is on Fractured Fairy Tales with a focus on narratives and point of view. Students will be writing their own Fractured Fairy Tales using traditional fairy tales with a twist. Mrs. Kerr's Language Arts class had fun writing our own fractured fairy tales. The villains finally set the stories straight! Nonfiction has been a focus as we have annotated an article about dress code and written a nonfiction book review. We also had a debate about the value of single gender classrooms, which the majority of the class was against. Mythology will be the topic of study for these next two weeks until Christmas. Math classes have wrapped up working on the Coordinate Plane and are now focusing on ratios, rates, and proportions. During this unit, students get to discover how math IS really used everyday. Students have jumped head first into problem-based learning activities involving chocolate milk, energy drinks, and paint. If you need a boost, your child can tell you which energy drink will be the best "bang" for you buck! If you have ever put too much salt on your dish, then you know that the wrong proportions can be disgusting. Mr. Strickland's Math class has been reviewing fractions and finding their equivalent values through recipes. Good math skills can lead to great food! Sixth grade scientists are digging into Earth's interior (pun intended) to discover the incredible forces which result in earthquakes, volcanoes, mountains and rifts. We have made flip charts, completed web quests, played word wall games and danced "The Drift" in our study of Plate Tectonics. Mr. Strickland's Science class has been soaring high and digging deep into our planet's layers. How did fossils of ocean life come to be embedded in a rocky cliff atop a mountain? Our students have been discovering how continents move and will continue to shift our living spaces in the future. Students have been amazed to learn about the Ancient Egyptian mummification process! "They took the brain out through the nose!?!" has been a common refrain in class the past few days. We will complete our study of Egypt by Christmas with students taking the unit test on Thursday, Dec 17th. Along with our study of Egypt, kids work with an atlas daily and I hope you are seeing a more globally aware child than the one you sent to North Davie in August! In Mrs. Smith's Social Studies classes we are finishing up our study of Ancient Egypt. Students have learned about the history of Egypt and have been fascinated with the mummification process and the elaborate tombs of the Egyptian Pharaohs. We even learned how to write our name in Egyptian hieroglyphics! On Thursday, December 3rd students will take their unit test on Egypt. From there we will begin to learn about India and just before Christmas we will spend some time learning about how different holidays are celebrated around the world. Reminder: On Monday, December 14th students who are passing all their classes and have not received a referral will go on a PBIS reward trip for their good behavior. 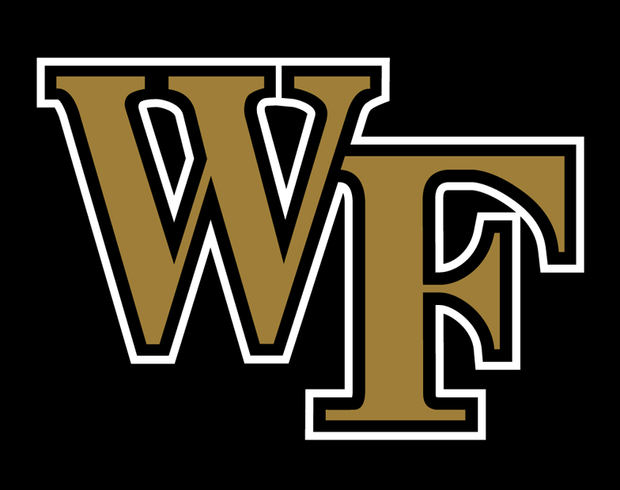 Students will travel to Winston Salem to attend a Wake Forest women's basketball game. If your student signed up to bring lunch from home please make sure this is in a bag that can be thrown away as we will be eating lunch at the game. Popcorn and soda will be available for purchase for $2.50. On behalf of the entire 6th grade teachers, Happy Holidays to you and your family!